Tails Pet Supplements is offering four free supplement samples for your Labrador Retriever. Hip Hip Hooray - "A unique combination of collagen-building proteins, antioxidants, and Omega 3 fatty acids specifically formulated to help support joint health in dogs of all breeds and sizes. Provides the essential nutrients to help support your dog’s active lifestyle." Grow Dog Grow - "A complete blend of vitamins and minerals formulated specifically for puppies up to 1 year old. Designed to support growth and development, and boost immune, heart, and digestive function for a happy, growing puppy." Canine Bliss - "A balanced blend of vitamins and minerals specifically formulated for dogs 1 to 7 years. Packed with antioxidants, amino acids, fatty acids, digestive enzymes, and other essential nutrients to support lifelong health in your dog." Rover the Hill - "A blend of essential nutrients and antioxidants specifically formulated for dogs over 7 years. Supports immune, heart, brain, and digestive function to keep mature dogs healthier and more active." Visit their website to learn more about their products and request your free samples. Pegetables is giving you the chance to win a year supply of their premium dental dog chews in their Dogs LOVE Pegetables Video Contest. 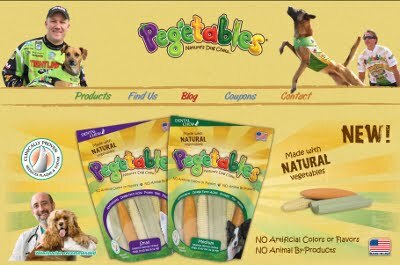 Pegetables are premium dental dog chews made with natural vegetables - carrot, corn and celery. Pegetables are enriched with antioxidants, complex carbohydrates, omega fatty acids, amino acids, protein, fiber, vitamins and minerals. Pegetables are clinically proven to significantly reduce plaque and tartar build-up in dogs, which results in fresher breath! To enter the Dogs LOVE Pegetables Video Contest, just create a short video of your dog and mention Pegetables dog chews. The winner will receive ONE YEAR'S SUPPLY of Pegetables! ($500 value) Contest ends on November 30, 2012. The outside world can pose a myriad of dangers to our pets, from cars and aggressive animals to toxic food and harsh weather. Many animals who escape from their homes end up in shelters as strays. If they’ve lost their ID tags along the way, it is likely that they will never see their original home again. The National Council on Pet Study and Population estimates that 98% of stray cats and 80% of stray dogs never return home. If these animals are lucky, they will be adopted by a nice family, but the majority of strays do not fare so well. With so much at stake, it is imperative that pet owners ensure that their pets stay safely on their home property. Training is an essential part of the plan, but you will need to take additional precautions to prevent losing your pets. If you own a dog, you need to fence in your yard to ensure that they remain safely on your property. However, because permanent fencing can be quite costly to erect, many dog owners neglect to do this. Electric pet fencing offers an affordable solution to contain your pets. Not only are they relatively inexpensive, they are convenient, and super easy to install. Electric pet fences offer you the flexibility to change the configuration of your fence at will, and also give you the option of removing the fence and taking it with you if you move house; saving you cost of purchasing a new fence when you move into your new abode. Electric pet fences also have numerous other benefits: they are durable, weatherproof, and require little maintenance; pets quickly learn to respect the boundaries of the fence and stay away, consequently dogs are less likely to dig under or jump over an electric fence than a solid fence. Above ground electric pet fences not only keep pets in, they are also effective at keeping predators and other unwanted critters out, ensuring that your pets are protected from wild animals that could cause them harm or pass on disease. They can also be used with great effect to keep pets out of sensitive areas in your garden, such as flower beds or your veggie patch, or to keep cats and other predators away from fish ponds or bird aviaries. Electric pet fencing is available in kit form – the kits contain all the necessary equipment to enable you to quickly install an electric fence to contain your pets. Typically a kit will consist of electric fence wire, PVC fence posts, a grounding rod, and accessories such as connectors and possibly a fence tester. In addition, you will need an energizer to keep the fence charged – the type and size of the energizer will depend on how long your fence is, and the type of animals you wish to contain or exclude, but generally a small, low-powered energizer is adequate for pets. Energizers can be AC powered, battery powered, or even solar powered, allowing you complete flexibility in all situations. The Labrador Retriever is one of the most popular dogs in the United States, and also popular worldwide. 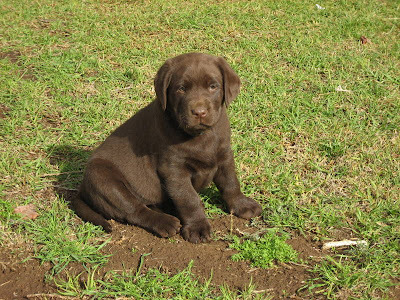 The breed has many characteristics that make the Labrador a great choice for a domestic pet. Well known for their intelligence, friendly personalities and gentleness with humans, it's no wonder they are so loved by dog owners. 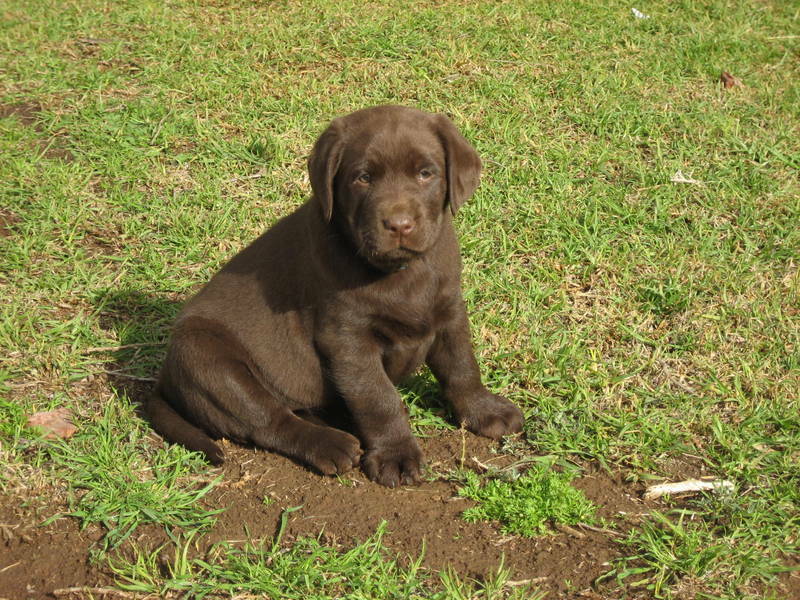 There are many other reasons, however, to choose a Labrador Retriever. You can trust a trained Labrador Retriever to be good with family members. They are gentle playmates for children and will become protective of them. Labradors have lots of energy and can keep up with kids and tolerate some rough play. Labradors should be acclimated into the family and properly trained. They are intelligent and learn the rules quickly, so house training and behavior training are quickly accomplished. They can learn tricks, rules, and can be trained to assist the disabled. They can also be trained to guard or protect people and property. Most Labradors are loyal, and can sometimes take on the emotional state of the owner. Because of their friendly attitudes, many Labradors attach well to their owners and form a bond. They will protect their human owner if necessary. Labradors can be beige, brown, black and mixed colors, but all of them have a beautiful coat and strong bodies. They are the common face of childhood dogs, and are successful in dog shows because of their canine beauty. Labs will provide many hours of playtime and exercise for any dog owner. They are strong dogs, capable of running quickly and playing hours of catch. They are adept at seeking out objects, retrieving, and have even been put to work as service dogs for search and rescue missions of for aiding the blind. Labrador Retrievers serve us in multiple ways, not just as pets. They become our friends and part of the family because they are a good breed to bond with humans and make a great addition to any household. 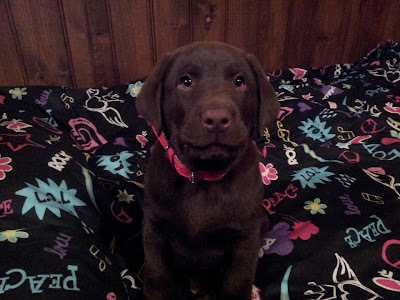 Top 5 Reasons to Own a Labrador is a guest post by Sara. Sara is an active nanny as well as an active freelance writer. She is a frequent contributor of http://www.nannypro.com/. 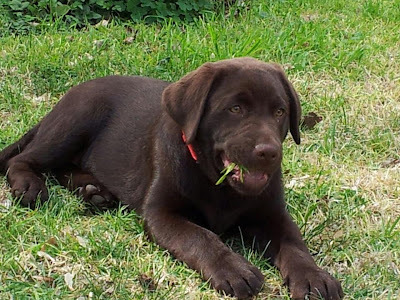 The adorable photos of Jack, a 3 month old Chocolate Labrador were sent in by Ty (Australia). 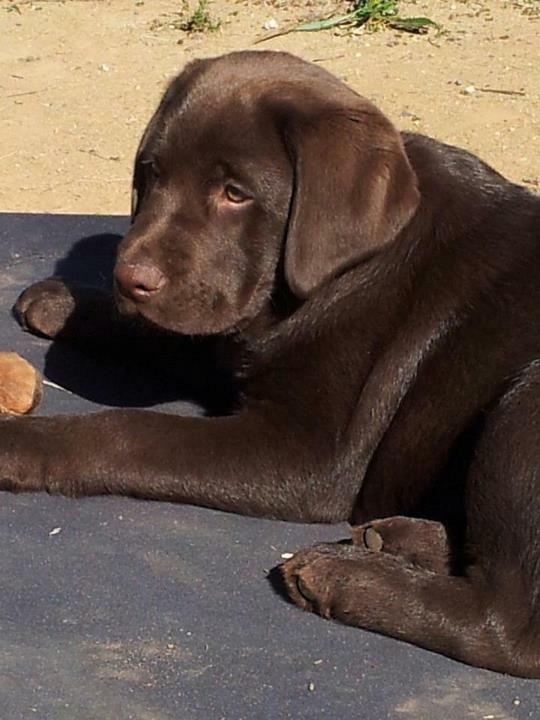 "Hello, here some pics of my 3 months old Chocolate Labrador. His name is Jack. He is our baby!" Thanks for sharing the photos of your 'Baby' Ty! 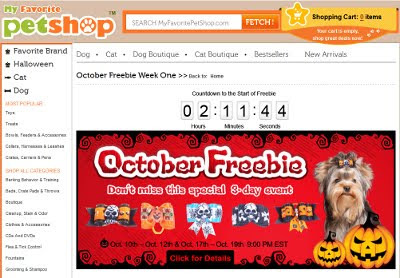 My Favorite Pet Shop is offering Free Halloween Pet Bows tonight at 9:00PM EST. The first 100 people to request, will get one! Labrador Retrievers are the most popular dog by registered owners in the United States and Canada, and why not? Labradors are easy to train to play with kids, and understand commands very well. Furthermore, labs also have few health problems, except for the fact that they are susceptible to skin problems. If this sounds close to home, then here are four common skin problems with Labrador Retrievers, and how to treat them. Lots of breeds become bothered by fleas, and labs are no exception. In fact, many labs are allergic to fleas, which cause serious skin irritation. Because of this, many dogs will suffer injuries by gnawing or clawing at the irritated area. Labs are not allergic to flea bites though - the problem comes from the flea saliva. this makes it difficult when it comes to treatment. There are numerous ways to treat a dog that has fleas though, so be patient. The first step most people take is to buy a flea collar and flea spray, but it doesn't work for all dogs. If that does not work, take your dog to your local vet, who can figure out how to start an effective treatment. Don't hesitate either, because though fleas bother many breeds of dogs, they bother Labs much more than the average dog. Lick Granuloma is one of the most frustrating conditions a pet owner will experience. The disorder is psychological, which makes treatment almost impossible. Lick Granuloma is the condition in which a dog constantly licks an area of their body, until the area becomes inflamed. In most cases, dogs lick an area near their paws. The issue can be caused by an infection, but is likely a compulsion. Unfortunately, there are few treatment options. Find out if the dog has any allergy problems and a healthy diet. If the issue is psychological, the dog needs more attention and time, and it will include some kind of negative reinforcement. Lick Granuloma is difficult to treat, but not impossible. Hypothyroidism is a condition in which the body does not release enough hormones - specifically of the T4 and T3 variety. This condition is more common in middle-aged dogs, especially in Labs. Symptoms of Hypothyroidism include stubborn hair growth and excessive shedding. Your dog will also likely be lethargic and constantly tired. A veterinarian can do a battery of tests to determine the cause of Hypothyroidism, and rest assured that they will prescribe the dog an effective medicine. Parasitic mites cause mange, which bothers many breeds of dogs. These mites will embed themselves in the Labs fur, and bite the skin frequently. This is what causes the ugly patches of missing fur on dogs that could be described as "mangy". Most vets can treat the dog with a treatment every two weeks, and this should be successful within a few weeks, meaning the dog's hair will return to normal. Anyone living in a region where winters are cold needs to develop a routine to ensure their animal's safety. Even though dogs have fur and can handle some cold, they still need to be protected too! Naturally, preparing a Labrador for the cold winter will ensure their safety and happiness. Once developed, a winter routine will be easy for anyone to follow Here are five tips to get your lab ready for the winter!! Do not leave a lab outside in the winter without shelter. The cold suits some dogs, but most dogs will not enjoy the harsh winter weather. Indoor shelter can include the garage or the house - a dog house will not suffice. If, for some reason, your dog has to live outdoors, it will need a dog house with a heated bed. If a lab does not have adequate shelter during the winter, they will be uncomfortable and put in danger. Do not overlook the feet! Consider foot protection booties even. This is especially valuable in icy areas. Not only will booties protect a lab's feet, they will also provide better grip, which will help prevent falls. For a lab to be comfortable, keeping their feet warm needs to be a priority. Keep in mind, some labs will not tolerate foot booties, and find a way to take them off. If a Labrador is outside for a few hours, or even in the garage, make sure the dog is okay. In cold weather, a dog can start to get sick or uncomfortable in a matter of minutes. If a lab becomes agitated by the cold, they will start barking desperately or shivering. Make sure to keep an eye out on the dog for any signs of frostbite and freezing. During the winter, a dog needs to be safe from more than just the weather. Antifreeze is a big killer of dogs, so make sure there are no puddles of antifreeze in the yard or garage. In the house, make sure the dog is safe near the fireplace and heaters. In regards to snow, do not allow a dog to eat snow, there could be chemicals or other dangerous substances in the snow. Remember, during the winter water can freeze. Make sure the Labrador has plenty of water, and that the water does not freeze. A Labradors safety is dependent on the owner taking the right steps. It is crucial for a lab to get their exercise. A lot of dog owners neglect their dog's exercise habits, but this is a huge mistake. Remember, take the lab out for walks and to play games, even on cold days. On unseasonably warm days, take the lab to a park, so the dog can play with other dogs. Dogs need exercise year round and will otherwise suffer without exercise! If you can't provide this in the winter, perhaps you shouldn't have a dog. This is generally more true for younger and larger dogs, and less true for older and smaller dogs. Anyone with a Labrador needs to have a winter routine to ensure their dogs health and safety. 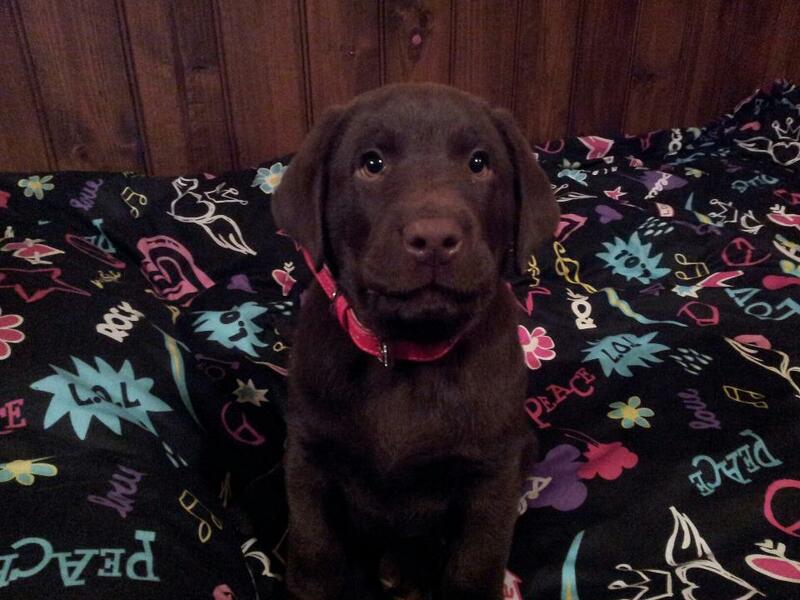 Keeping Labrador safe and healthy will ensure they are happy, while the owner will avoid large vet bills. Winter Weather: How to Get your Lab Ready is a guest post by Emily Chase. Emily Chase writes about weather, his pets & more at www.healthinsurancequotes.org. Print out the listed coupon and visit your local Petco to get your Free Natural Balance Dog Stew. Coupon expires 11/30/12. To use the coupon you must be a member of Petco Pals and present coupon with your PALS card (sign up for Free).